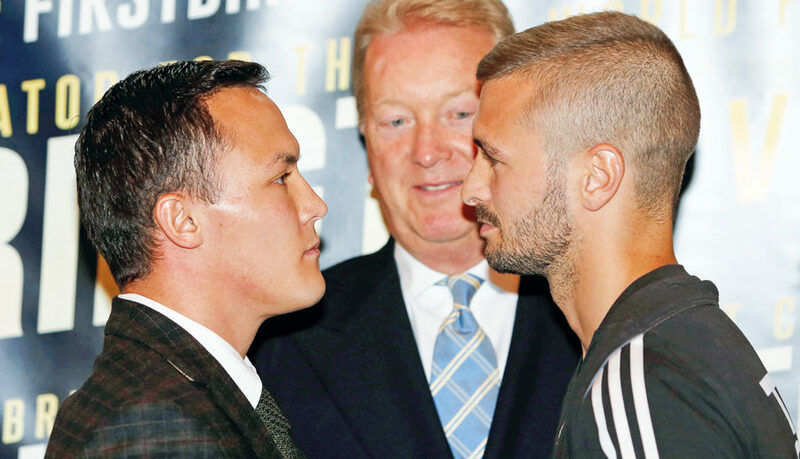 Josh Warrington will face undefeated Dane Dennis Ceylan in a mandated Final Eliminator for the IBF Featherweight World title at the First Direct Arena in Leeds on Saturday 21st of this month. The two fighters came face to face for the first time at a press conference in the city where they both made it clear that they are determined to win and be the one to step in the ring with Lee Selby. Former European Champion Ceylan also has his sights firmly set on World title honours but must overcome his toughest career challenge to date in the undefeated Warrington if he is to set-up a clash with Selby. As we know, Josh has a huge fan base here in Leeds who always turn out in force to support him at the arena. Warrington vs Ceylon tops an exciting fight card which includes Huddersfield’s British Super-Lightweight Champion Tyrone Nurse facing undefeated Jack Catterall. The team here at the Yorkshire Reporter are all rooting for Josh and can’t wait to see him in action on the 21st!